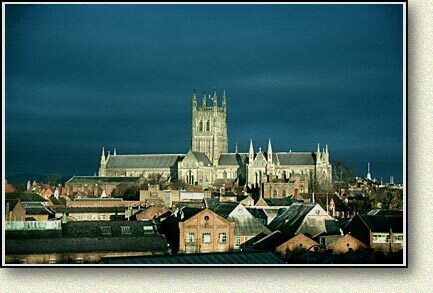 The Cathedral has dominated Worcester's skyline for 1,000 years. 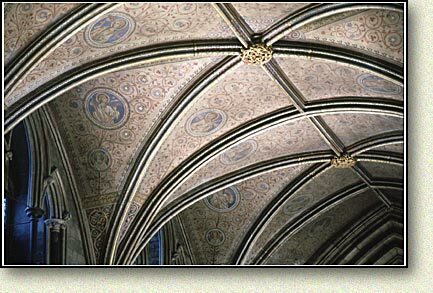 In this section we take an affectionate look at this great building - a place of pilgrimage, prayer and serenity. 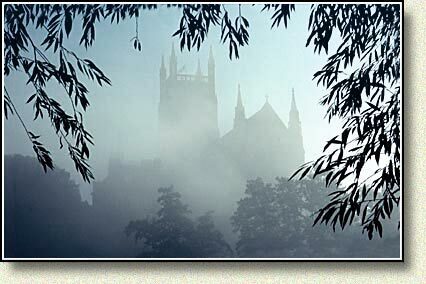 Above: Dawn along the riverside and the swirling veils of mist gradually reveal the outline of the Cathedral etched against the radiant sky. Above: A winter scene. 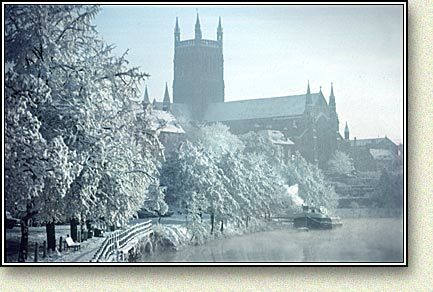 Heavy snowfall is rare in Worcester, however when it does occur, the riverside is transformed into a sparkling landscape. Above: The Cathedral stands high above the City landscape. This is the view from the window of my home on a stormy day. 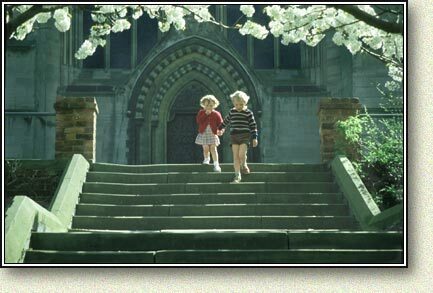 Above: Two children enjoy the springtime sunshine on the steps outside the west door. Above: A section of the richly painted ceiling depicting saints above the Quire and Lady Chapel. 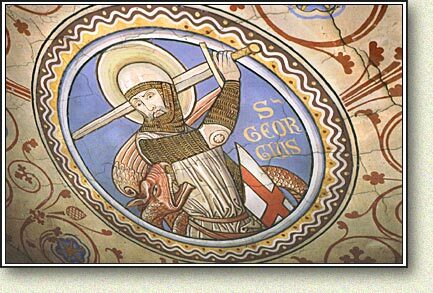 Above: A panel detail from the paintings on the Quire/Lady Chapel ceiling - St. George slaying the dragon. 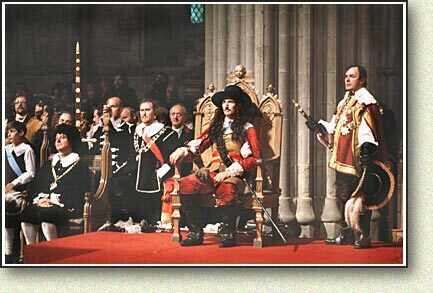 Above: Historical re-enactment, as King Charles II takes his throne in the cathedral during the Battle of Worcester, 1651. Above: This is no re-enactment. 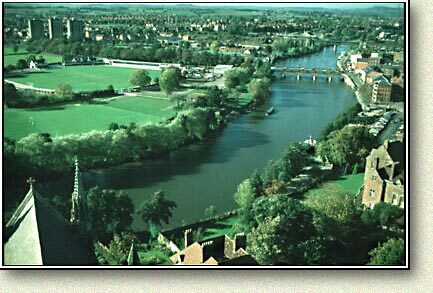 Following the Battle of Worcester (3rd September 1651) Royalist officers and Scottish troops were summarily executed and their bodies thrown into the Charnel House adjacent to the Cathedral. 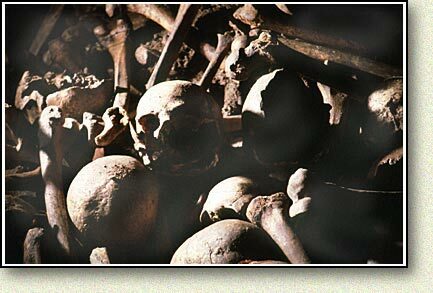 Their skulls and bones lie there today, to a depth of several feet, in a vaulted room beneath ground level. 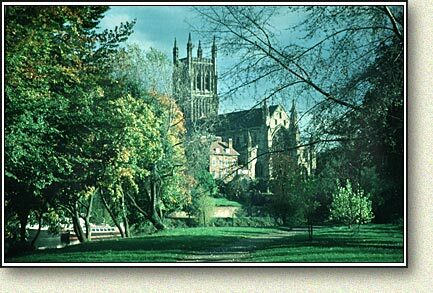 Above: A more serene image which returns us to the west bank of the Severn to view the Cathedral.